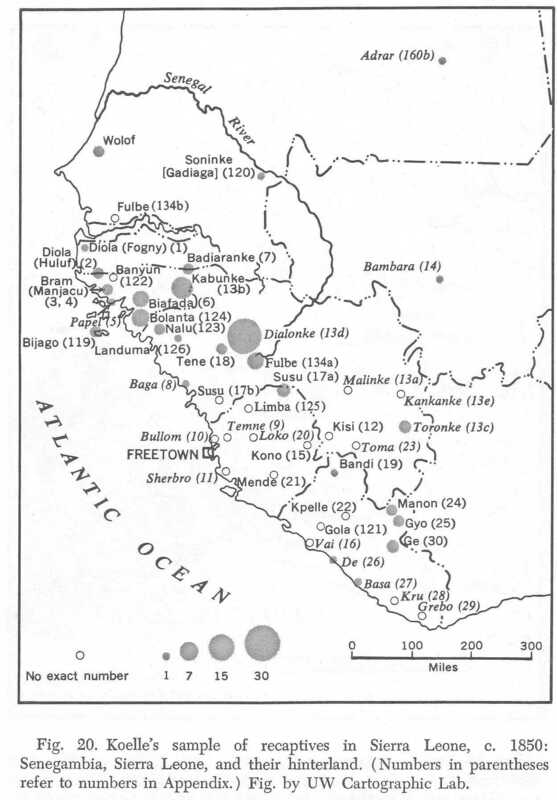 This map shows the slave trade regions as used in the slavevoyages database. 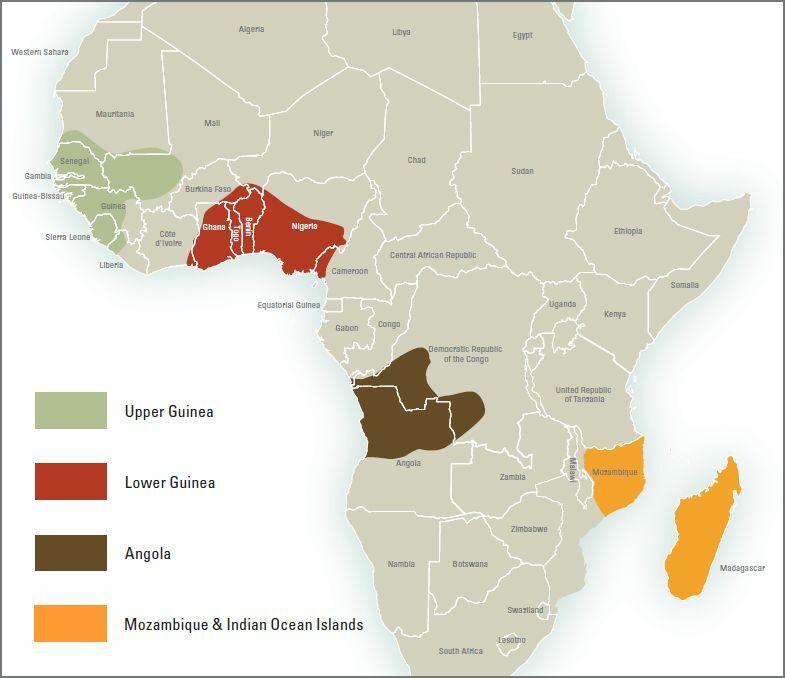 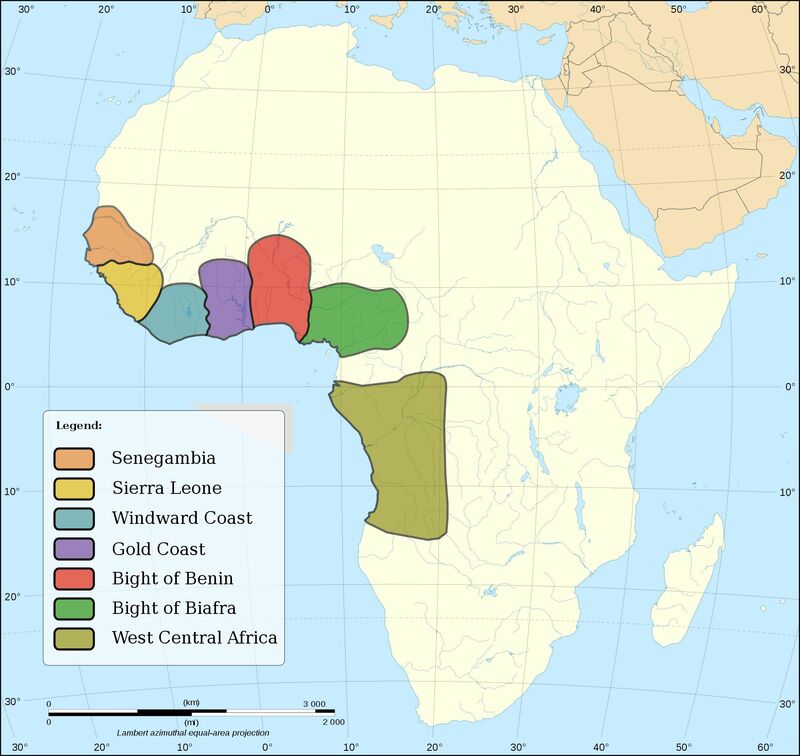 Same regions in colour, it’s good to keep in mind that the region called “Sierra Leone” is also including most of Guinea Conakry aside from the modern day country of Sierra Leone! 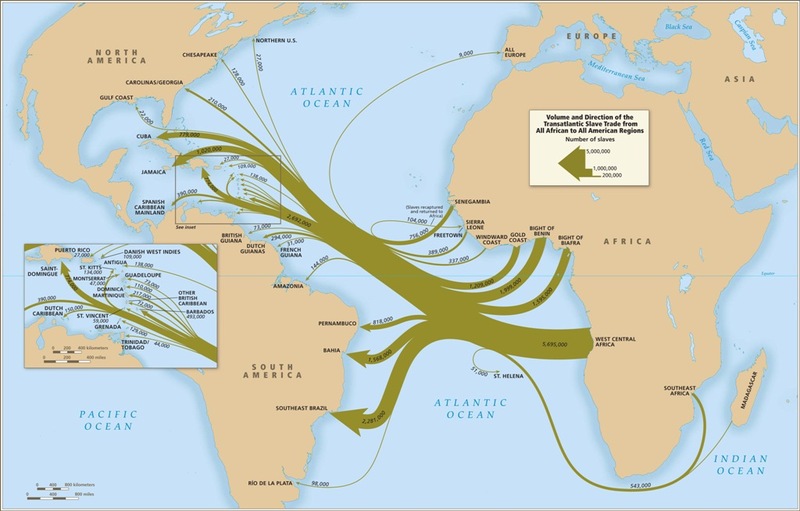 The following two maps appear to be based on the Trans Atlantic Slave Trade (TAST) Database with its estimates of 388,747 captives being disembarked in North America. 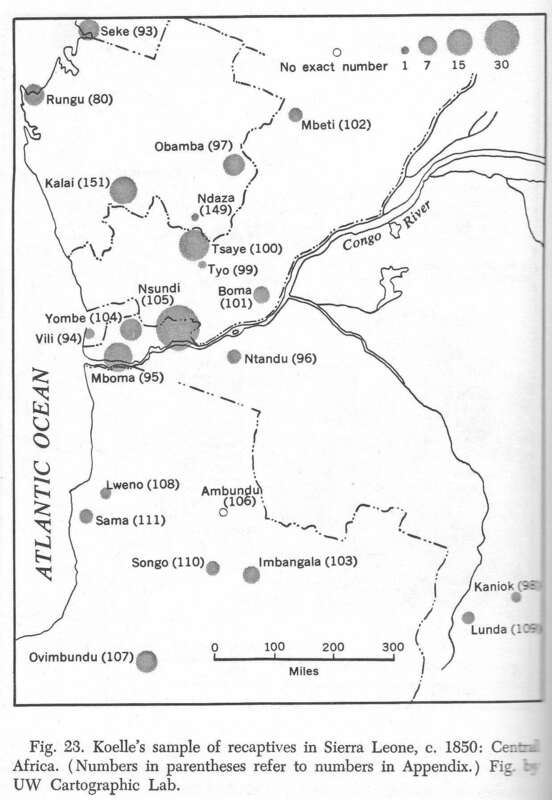 Very insightful because it is providing more detail beyond the traditional slave trade regions. 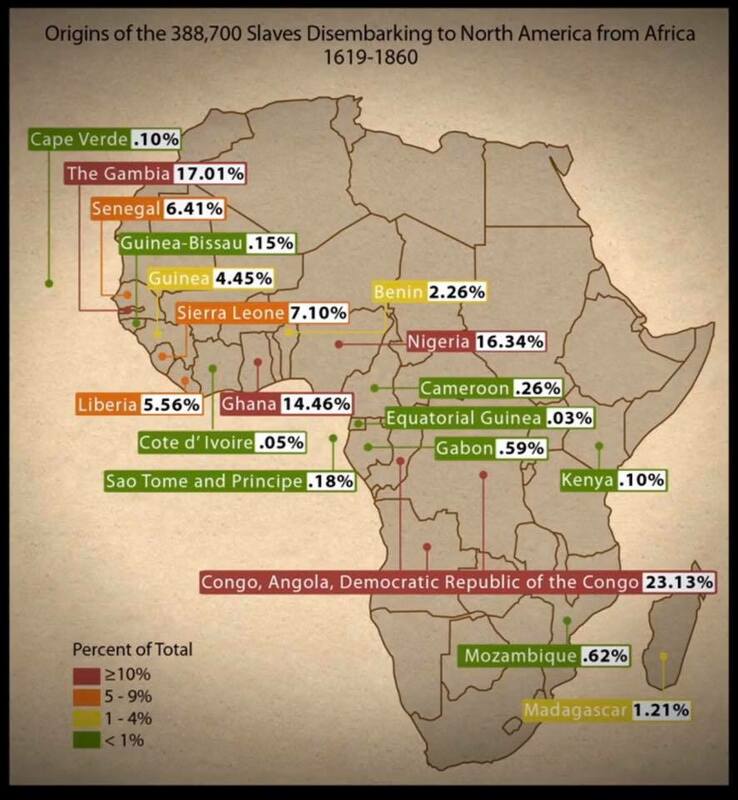 Even when the modernday country origins are not to be taken literally. 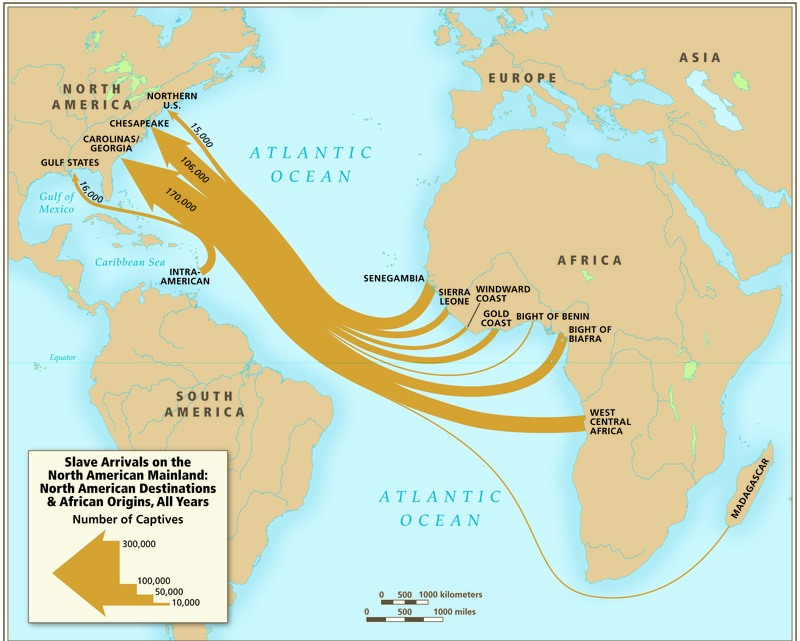 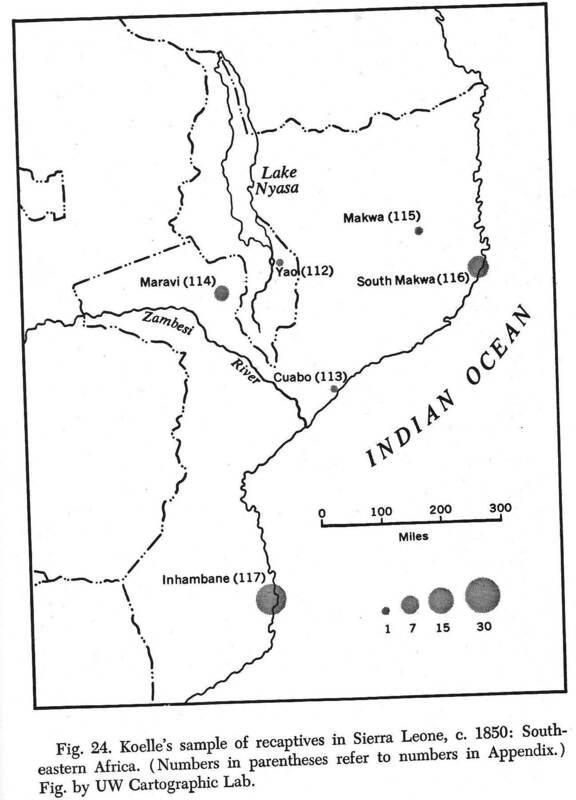 Inland slave trade routes could very well cross borders afterall. 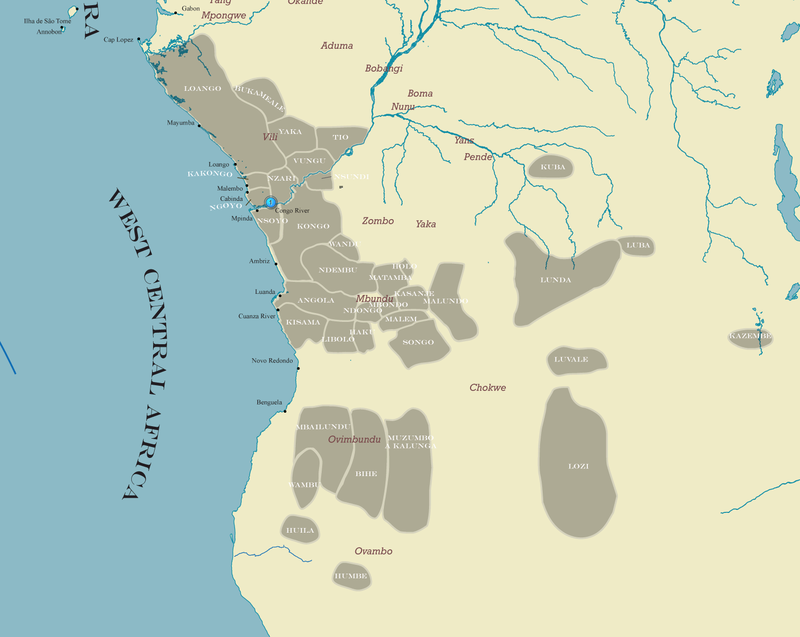 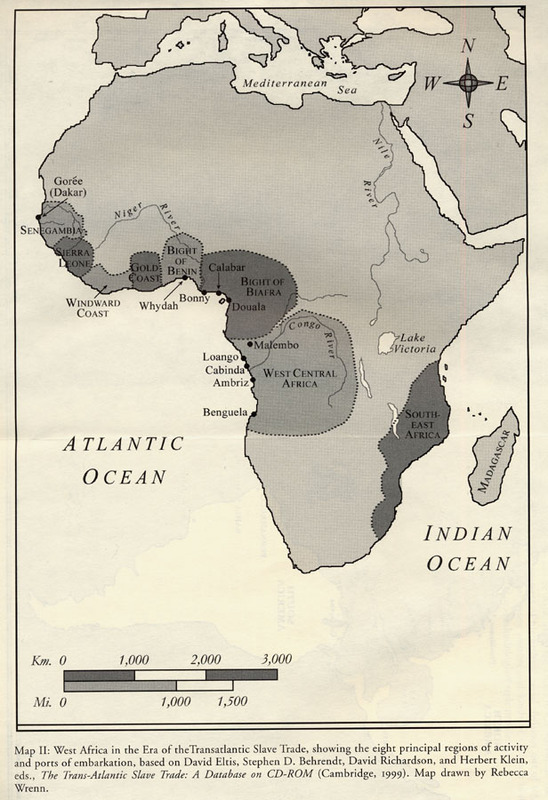 This map features the ethnic names for slaves (“casta” or “nacion” in Spanish) used by Alonso de Sandoval, a Spanish Jesuit who wrote one of the earliest books on African slavery in the Americas “De Instauranda Aethiopum Salute” (1627). 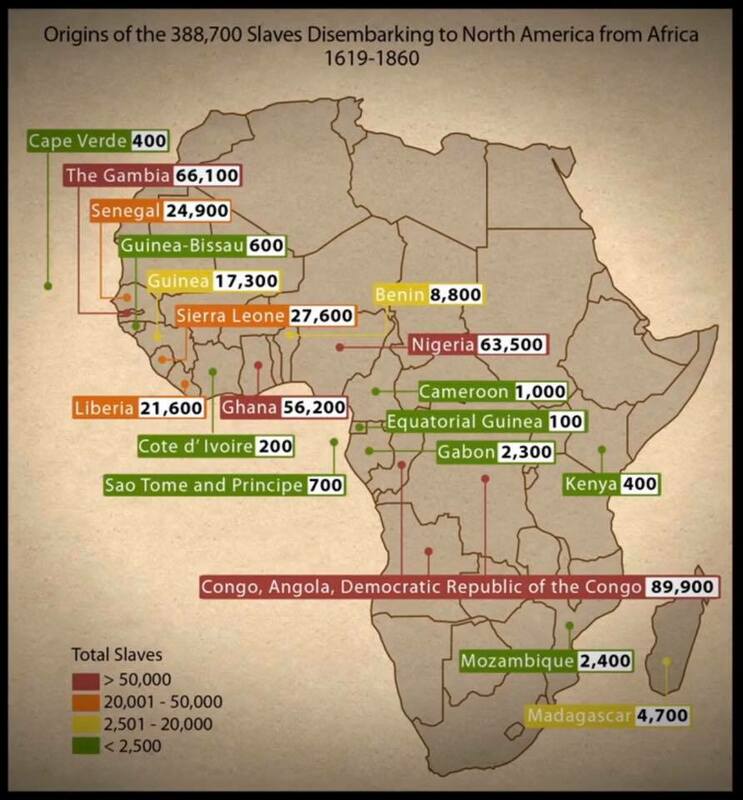 These same names are also used in contemporary (1500’s-1700’s) documents from the Spanish Americas describing the ethnic background of slaves. 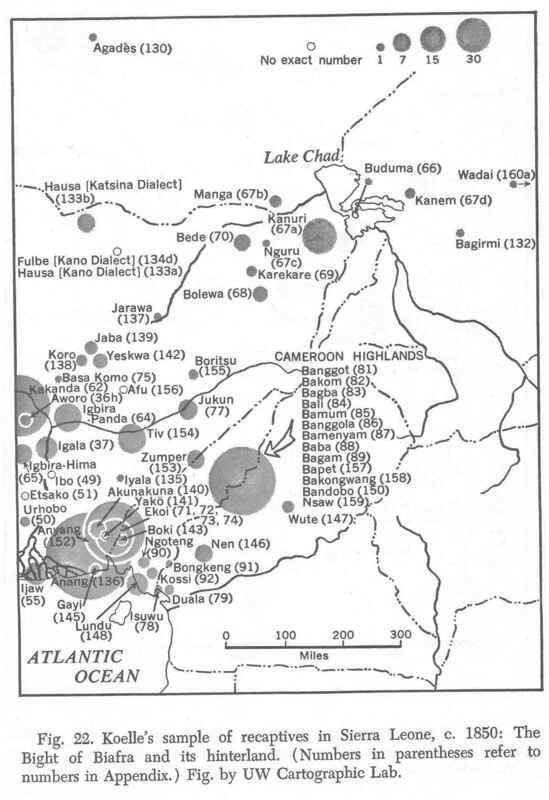 Maps showing presentday ethnic groups as well as historical states/empires during the slave trade period (1500’s-1800’s). 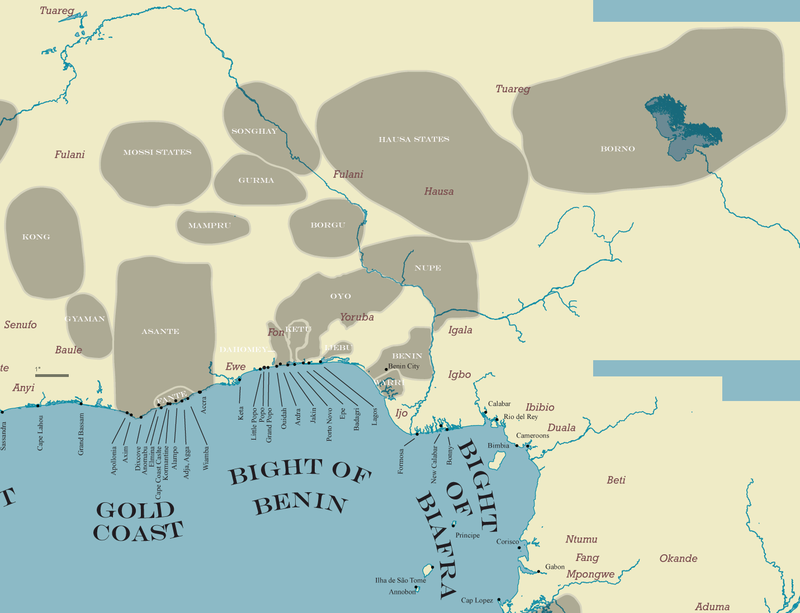 Clicking on the pictures you can get to see them in even greater detail! 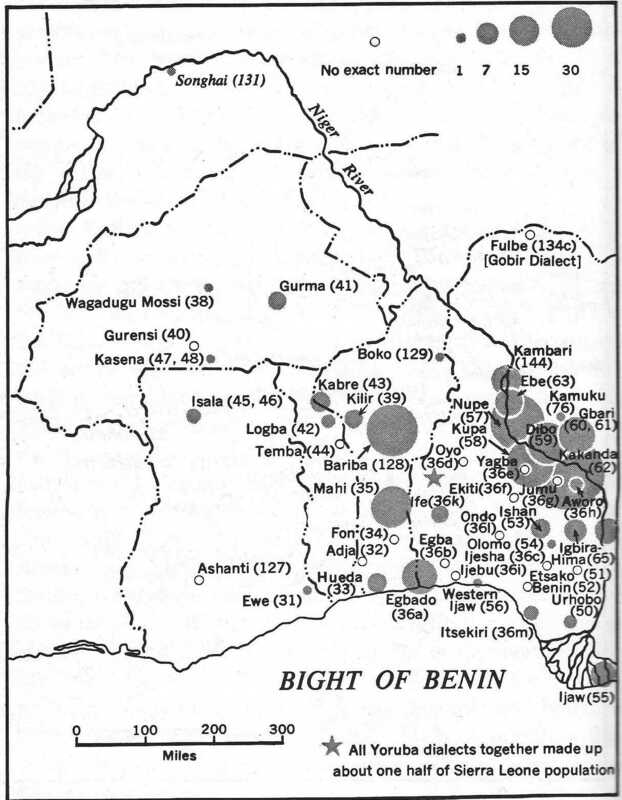 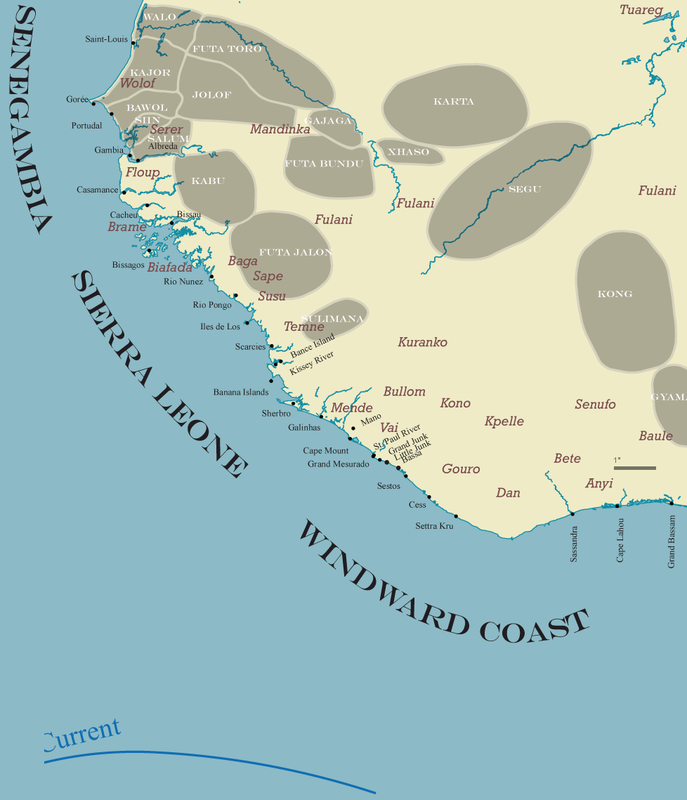 Taken from Curtin 1969 these maps are priceless in showing where the informants, Liberated Africans in Sierra Leone, of Koelle, a German linguist from the 1800’s, originally were from. 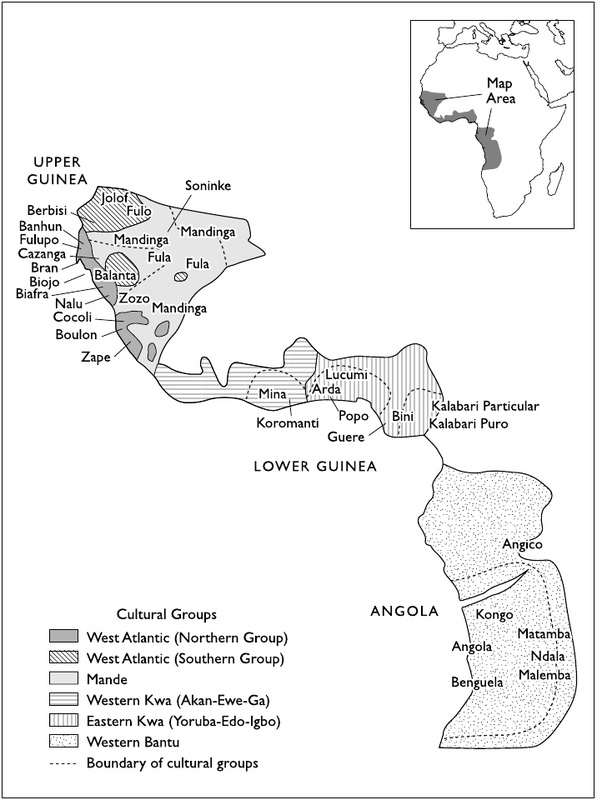 See also this blog post: Krio from Sierra Leone: Afro-diasporeans with a twist? 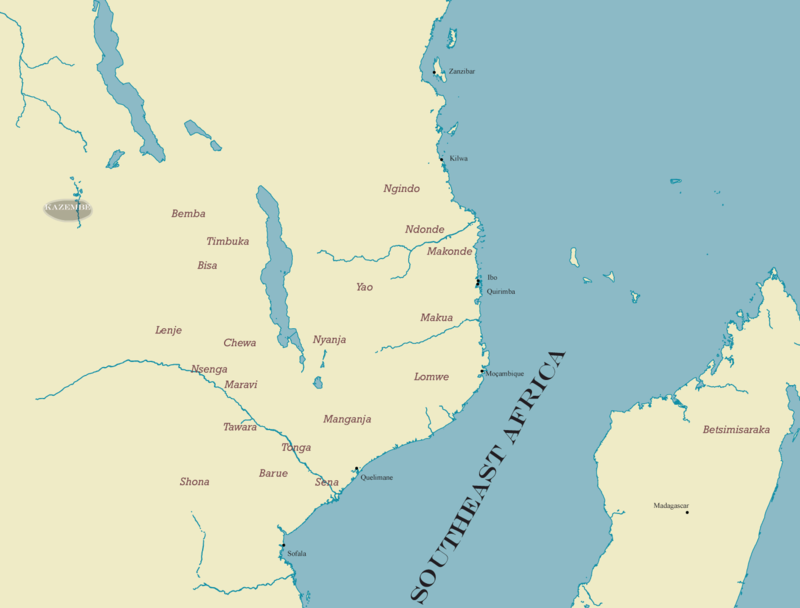 This collection of maps is outstanding. 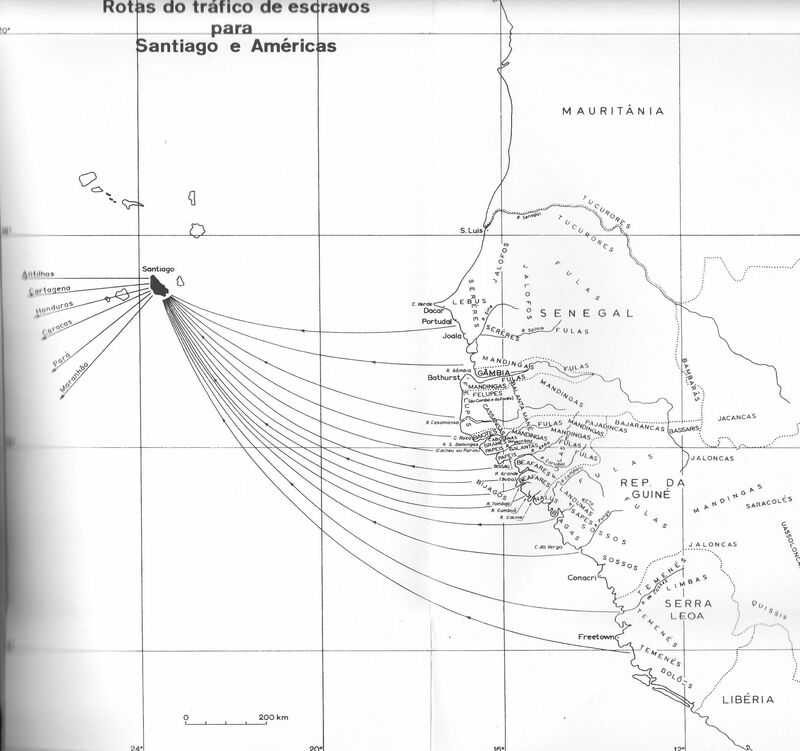 You have some the best sources ever!